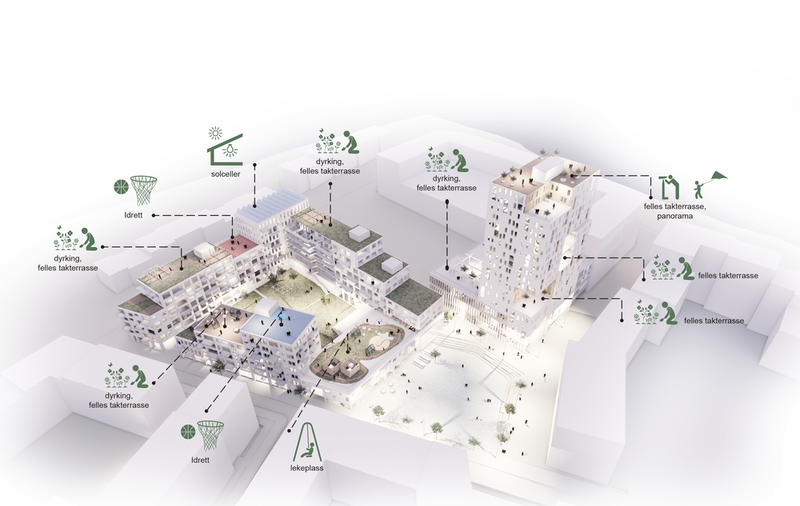 Grape Architects was invited to participate on a mission to develop two sites centrally placed at Vollebekk in Oslo. The site would consist of 32 000 m2 housing and commerce. A tower of 17 floors marks Vollebekks new meeting arena – Vollebekk plaza. Our goal was to create a vibrant area, with a mix of functions that would contribute to dynamic use of the area throughout the day.